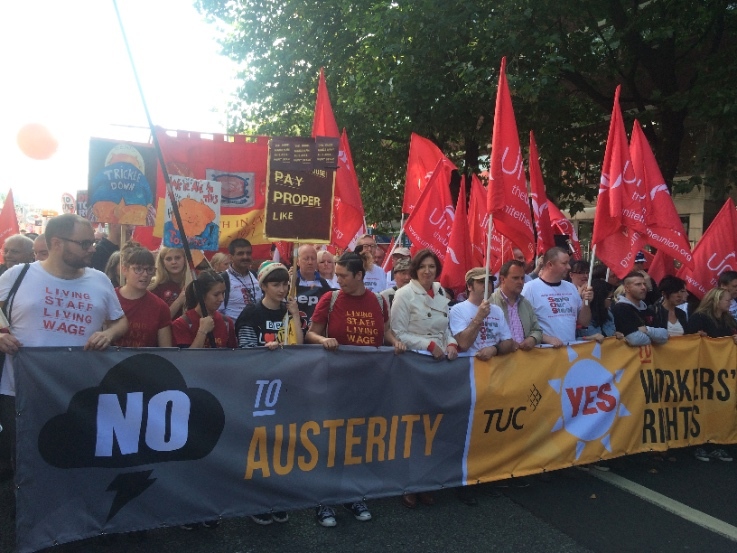 The TUC's march for the alternative on Saturday, May 12, "A new deal for working people", highlights the effects of the anti-social offensive on the working class and the whole of society, and can be said to be part of the struggles that working people are waging to turn things around. This is no small matter. The neo-liberal agenda is only entrenching the all-round crisis of society, in particular that of the economy. In other words, it is not a matter of declarations but of bringing the human factor/social consciousness into play so that new relations are brought into being in a world of socialised humanity. The fight goes on for workers to claim that section of the social product that they engender through their work that they determine as of right. They also demand that the whole of the wealth they produce whether in industry, in the health and education services, manufacturing, transport, and so, be applied for the benefit of society and not go towards pay-the-rich schemes and bolstering the privileges of the rich and powerful. As the TUC points out, three million workers are stuck on zero hours contracts, in agency work and in low-paid self-employment. Workers in the public sector have been denied pay rises which have meant effective cuts in wages and standards of living. 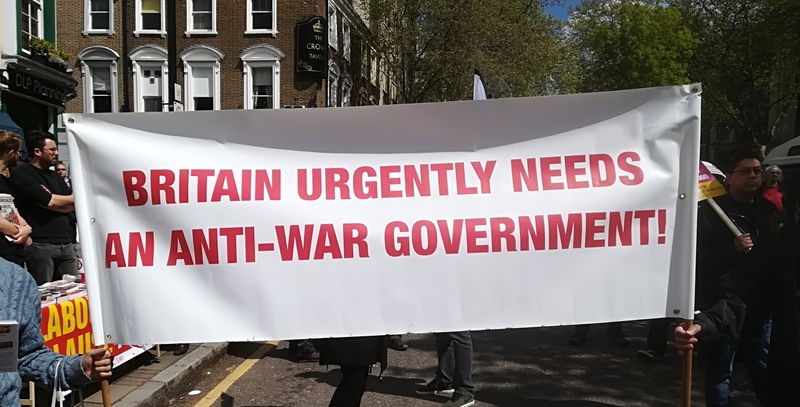 The drive of the ruling elite towards privatisation has affected all social programmes and services, and poverty, homelessness and an increase in vulnerability have also been the result of this agenda and the irresponsibility of the ruling elite towards the future of society. 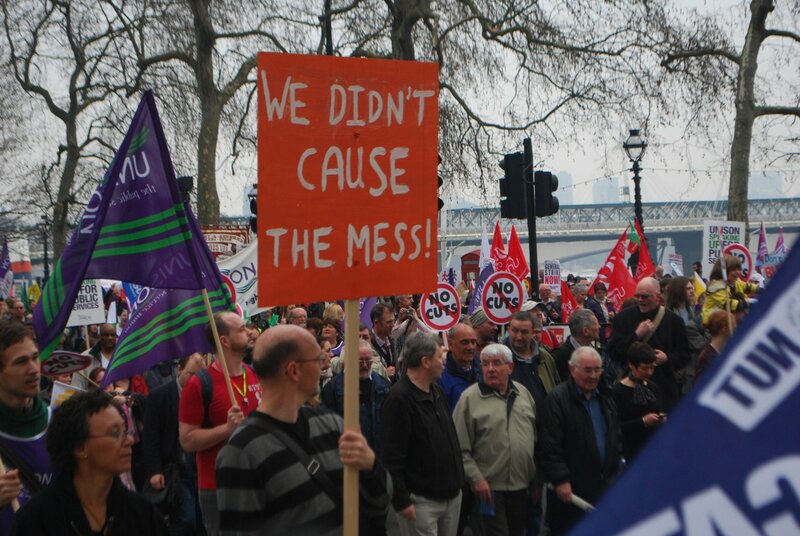 To turn things around, the TUC says: "We're marching for the alternative. For a growing economy with great jobs in every nation and region of the UK. 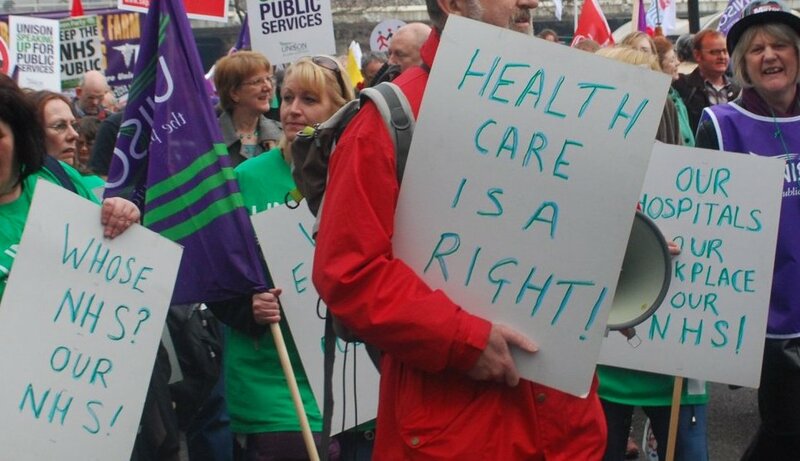 For a £10ph minimum wage and the right to a voice at work. For public services that are brilliant, funded and free at the point of use. And for a society that roots out racism, sexism and discrimination." The working class is that social force which can give the economy a new direction. A new direction means that the social product and new value workers produce is utilised for the common good and not to pay the rich and powerful. The needs of the people require uninterrupted extended reproduction and global relations based on mutual respect and benefit. A new society is the goal of working people. They are fighting day-in-day-out for their rights and interests. They know that to complain ever more vociferously and precisely what problems they face is not itself the answer to overcoming these problems. The conclusion must be that the present set-up represents the Old and is no way to run an economy or society. Enough is enough, and working people demand the New! Today the TUC has published new figures showing that 3.8 million people -11.9% of the workforce are now stuck in precarious forms of employment such as zero-hours contracts, low-paid self-employment or agency work. Teachers and educators desire first and foremost, through their labours, to contribute to the development of young human beings so that they can solve problems of the new society. Education is a right, and it can be said that teachers' working conditions are the pupils' and students' learning conditions. Furthermore, there is a struggle as to the kind of education system that people desire. Should it be human-centred or capital-centred. Educators want to impart knowledge and skills to students, and by so doing add huge value to society. They are opposed to all manner of prescriptive teaching and reducing the method to one of being a mechanical functionary and minor director to carry out the directives and whims of the ruling elites. Teachers and educators are fighting back against the anti-social offensive. 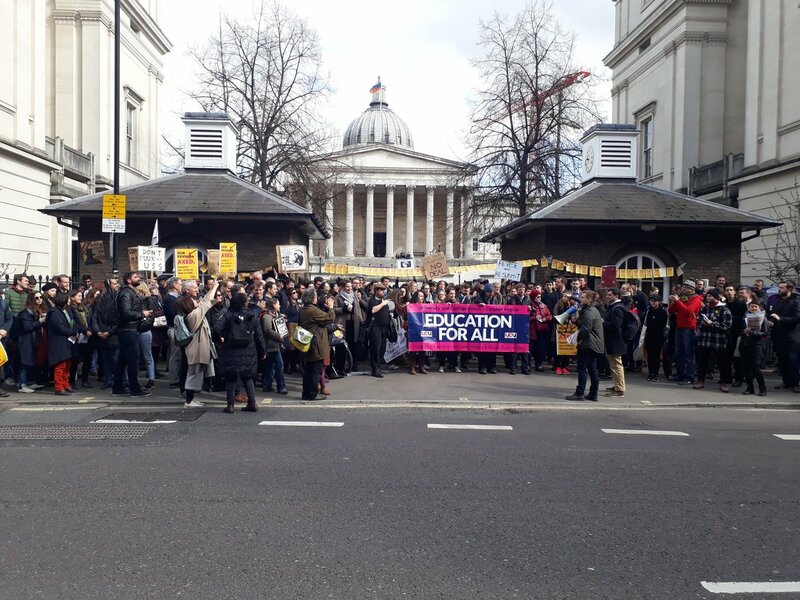 Such struggles as that of the lecturers show the determination and resistance of those in higher education not only to defend their pension rights, but to safeguard the future of education, and protest against the attacks on it. This struggle of the University and College Union (UCU) involved more than 40,000 lecturers, researchers, technical and academic-related staff at 64 universities. 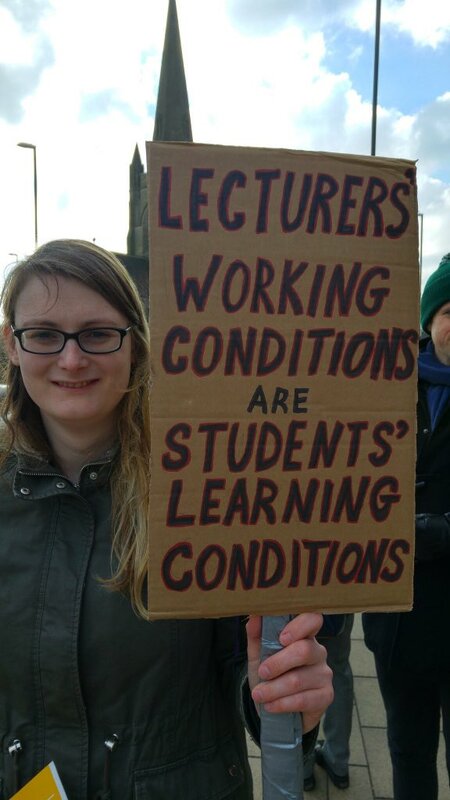 Lecturers at 64 universities across the country carried out determined strike action in a high-profile campaign to defend their pension rights. And in secondary education, there is a struggle against Academisation. These Academies strike at the conception that education at the highest level should be available to all as of right. They are premised on the idea that education is a choice for the parents and children, that standards laying the ground for a future career are paramount, and that private interests should prevail. Furthermore, teachers are faced with an intolerable pressure which is affecting the well-being of the teachers as well as the education of the pupils. Almost half (47%) of teachers believe the government and the Office for Standards in Education (OFSTED), are responsible for an increase in their workload. Bureaucracy and data collection have added unnecessary work. Capital-centred education demands "productivity" from labour that has little or no value for education only functionary performance. According to an NEU survey released at the ATL section annual conference, 87% of the teachers who took part said the government's 2014, "Workload Challenge" has not cut their workload at all. Teachers have to constantly prove that they are carrying out prescribed functions. NEU say that government changes to the curriculum, assessments or exams was the biggest driver of their workload and Ofsted inspections, while pressure to increase pupil test scores and exam grades was the biggest driver of their workload. Wherever teachers and educators are, in the past and in the present, they have been found to be in the midst of the working class movements for positive change, helping to activate the human factor and social consciousness. They are fighting against the trampling of their rights by an imposed neo-liberal agenda, as well as to safeguard the future of education for all at the highest standard as of right. The National Education Union is a recently amalgamated union of the Association of Teachers and Lecturers and the National Union of Teachers, designed to strengthen the teachers' organisation and ability to defend their rights. The survey was released at this year's annual conference.